The Rav was in the car with Karen taking a drive. The Rav told me he loved to go to the desert. Then the Rav said that he was now in the region of Joshua Tree. The Rav said, “You know there is a reason why Karen and I stopped here in Joshua Tree. Nothing happens by coincidence.” I answered and said, ” Yes, I understand,” even though I had no idea what the Rav was trying to tell me. I mean, why did I care if the Rav was in Joshua Tree, a high desert location some thirty minutes from Palm Springs and about three hours from Los Angeles. I did wonder why the Rav would drive some three hours in the middle of the week to some desert region called Joshua Tree. But I did not give it any more thought. Anyway, we had a great chat and that was that. After that Shabbat on June 29, 1992, I took my family to my wife’s home town, the city of Kitchener, for the rest of the weekend to enjoy the summer and the pool at her parent’s house. I received a call from one of the teachers on Sunday morning. I was told that the Rav stood up on Saturday morning during the lecture and spoke about earthquakes. The Rav had explained that that week’s Torah portion contained the secret and mystery behind earthquakes. Why? In the Torah, we find out that one of the great souls of that generation, a man by the name of Korach, rose up against Moses out of jealousy. 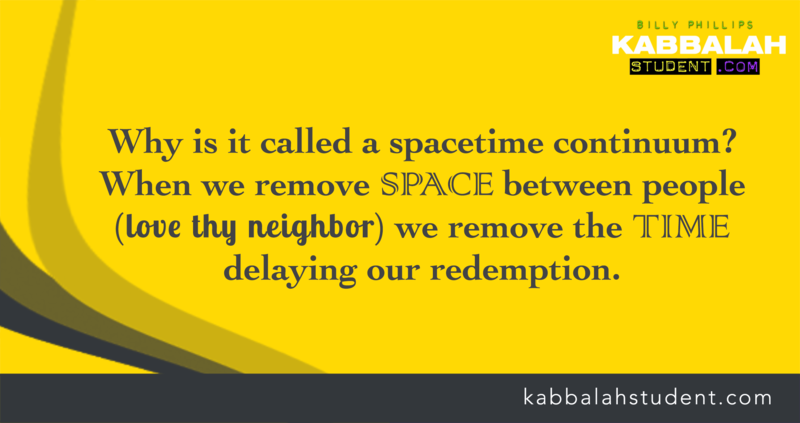 The Zohar explains that this kind of behavior creates “repulsion” and “distancing” and this is why in the Torah story, the earth actually opened up and swallowed up Korach and his followers. The Rav told the Los Angeles Kabbalah Centre that the reading of the Torah that morning would help remove our ego which causes us to have evil eye and jealousy towards others. In turn, that would also help prevent the tragedy of earthquakes. The Rav then declared in front of the entire Los Angeles congregation that there would be no tragic earthquake in Southern California because of this particular Torah reading if everyone meditates. The Rav explained that the Torah is not about remembering events from thousands of years ago. Rather, the Torah is an antidote, a vaccination, a powerful force that we use in the present moment to change our lives and change our world; to move us closer to the arrival of global peace and immortal existence, which is true reality and our ultimate destiny. With that in mind, the Rav assured the congregation that there would be no “big one”, no monster earthquake in California that would destroy the state as all the experts were predicting. An earthquake of that magnitude should have been devastating. But miraculously, there was virtually no damage. Insane! But there was lots of doubt among the students of Kabbalah. After all, how could Kabbalist Rav Berg stand up in front of hundreds of Kabbalah students and say there would be no earthquake, and then a monster sized 7.2 quake strikes? A quake that shook the land for close to three minutes, almost at the same time as the Rav’s lecture? And it happened in the one Torah portion that Kabbalists say stops earthquakes! The answer is deeply profound. Turns out that the giant earthquake that struck was triggered by an earthquake that occurred in Joshua Tree earlier. That’s right, the same place Kabbalist Rav Berg just happened to visit three days prior. If a quake that size had struck closer to Los Angeles, the city would have been crushed. But because the epicenter was out in this desert region, damage was virtually zero. Then it hit me. The Torah portion ONE WEEK BEFORE was about Joshua, the right hand man to Moses. In the story, Moses had sent twelve spies on a secret mission to check out the land of Israel. The Zohar explains that Moses was actually sending the ten spies to find out if the Tree of Life was in the Land of Israel. After their mission of spying out the land, ten of the spies plotted against Moses and purposely reported back bad news. They said there was no Tree of Life and absolutely no way for Moses and the Israelites to enter the land. In essence, Joshua said there was a tree of life in the Land and warned the Israelites not to rebel against Moses. The Israelites now had a choice: Believe the ten spies who reported negative news, or believe Joshua who said it was possible to enter the land? The Kabbalists explain that the Tree of Life that Moses was looking for was about consciousness. Moses was actually testing the consciousness of the Israelites themselves. Would they believe the negative ten spies or would they believe Joshua? Make no mistake, Satan is not a demon or devil. That is a corruption of the word. It means “adversary” which refers to the adversarial consciousnesss that fights against us by bombarding our head with negative, doubtful, skeptical, selfish thoughts 24 hours a day. This negative, pessimistic consciousness conceals our true self, our soul, our authentic tree of life consciousness. This is our true identity which is free of all fear, ego, selfishness, doubt, worry and anxiety. Our purpose in life is to tear away that adversarial form of consciousness to unleash our true identity. Now follow this: Exactly one week after this Torah portion about Joshua and the Tree of Life, we find the story about Korach and the opening up of the earth. Joshua’s Tree and the earthquake in California. So why did the earthquake happen right after the Rav said it would not? The Rav said that a massive earthquake had to happen in California so that people would see that no massive damage and destruction had taken place as a result of an earthquake. In other words, was the land safe to inhabit or not safe? This is the exact same predicament the Israelites were in in the Torah story concerning the Land of Israel. It’s up to us to decide. Was there an earthquake? Yes. Was there damage done by the earthquake that made the land of California unsafe at that moment? No. It’s up to our consciousness to decide what happened. The Rav explained that if absolutely nothing had happened, if there were no earthquake in California, the Rav’s words would have been worthless. It would be like a person telling someone else that in the next 30 seconds, there will be no earthquake. And then, when nothing happens in those next 30 seconds, that person claims this is the proof of of the truth of his statement. Which is utterly ridiculous! If nothing had happened after that Shabbat, the people’s consciousness would make them simply doubt the Zohar’s claim that the Torah would prevent an earthquake. In order to strengthen our consciousness—and at the same time give us free will, like the ancient Israelites—we had to experience a devastating earthquake the very same day—but without any damage! The question and challenge before us was this: were we going to be like Joshua and actually see the Tree of Life protection in the land of California? Or would we be like the ten spies and only see negativity? On that Sunday morning after the earthquake, I finally understood why the Rav said to me three days before the earthquake, “There is a reason why I am in Joshua Tree today.” We know that a Kabbalist travels to various places to alter events and prevent negativity. This is a fundamental teaching of Kabbalah. The Rav went to Joshua Tree with the Zohar to control events. You see, the quake had to happen. That was already pre-determined because of the selfish, jealous actions of people, which eventually accumulates into great negativity. But because of the power of the Torah and Zohar and the consciousness of the people on that Shabbat in Los Angeles, it happened in a way that there was no damage. From a human life standpoint, there was no earthquake! All because the quake’s epicenter was connected to physical region known as Joshua Tree. The location that Kabbalist Rav Berg, Karen Berg and the Zohar were in three days before the quake struck. Next story WHAT IS A DISASTER?